Delicious food and fantastic drinks! Look around, you'll like what you see. Contact us about your next visit! Located inside the historic Hotel Blackhawk in downtown Davenport, the Blackhawk Bowl & Martini Lounge is the perfect place to challenge your friends to a ten pin showdown, host your next corporate team building event or business meeting, celebrate a birthday, holiday event or children's party, or to just simply have a few drinks while catching the big game. 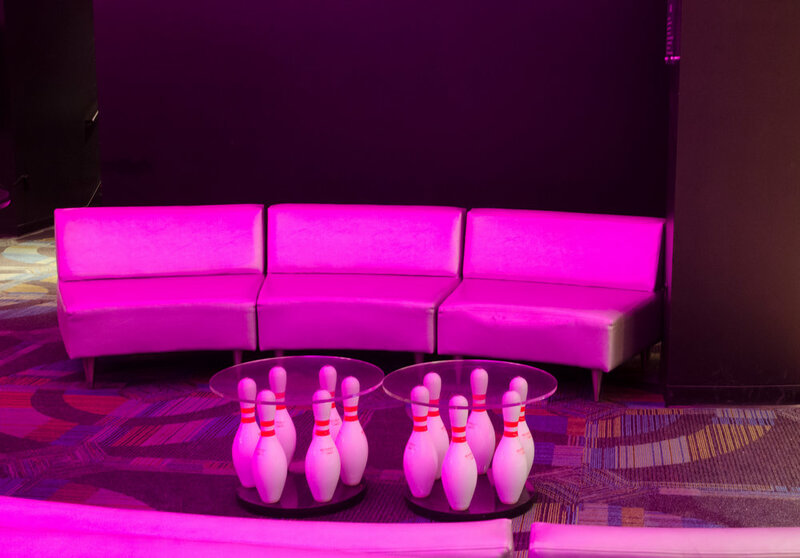 This isn't just a bowling alley - it's an experience.